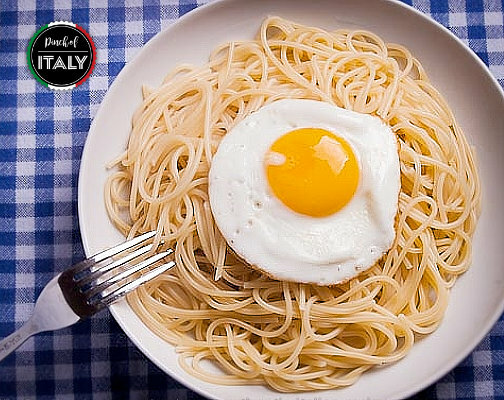 It's really a good and powerful spaghetti recipe a nice way to begin your morning with a fried egg spaghetti for breakfast. Most Italians don't have eggs for breakfast and pasta not at all, but you might think it completely different and so this dish is just right to begin your new day. Personally, I could have it for lunch or when short on time. Easy to make in just 15 minutes, but a fresh egg is a must. Then it could happen that it turns out to be a lunch or dinner as usually it is for me and you want to pair a wine to it. I can suggest you an "Orvieto Bianco DOC" a popular dry white wine from Umbria region of Italy. 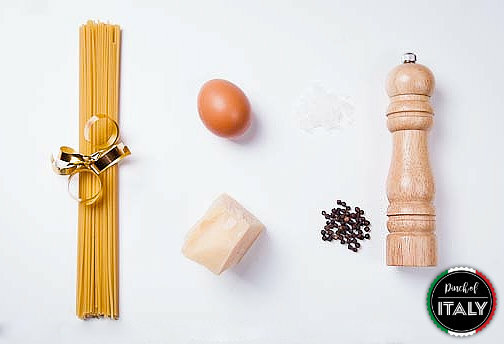 I usually will cook this kind of spaghetti when I am alone and little in a rush so the ingredients below are just for one but it's easy to scale up this recipe to your needs. TIP! 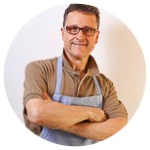 Freshly grated Parmiggiano Reggiano gives all another taste to your pasta dishes. Use a rotory cheese grater and don't buy pregrated cheese, it dries out that loses much of its flavor. 1. 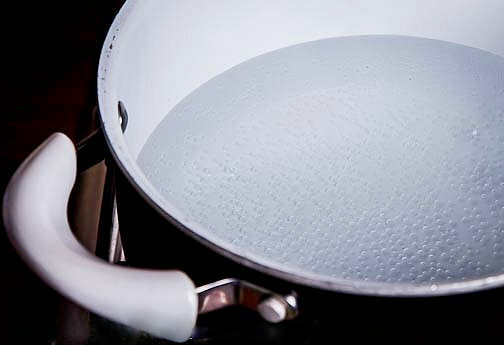 Set the water to a rolling boil and cook spaghetti as usual following the pack instructions or within 10-12 minutes. 2. 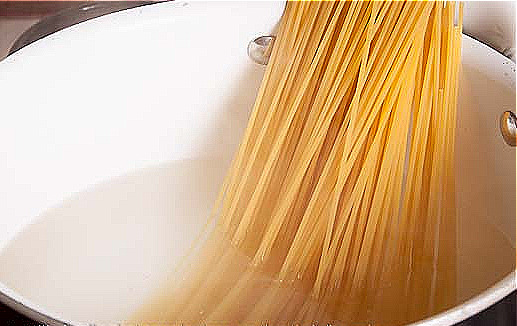 Once the water starts to steam and the salt, stir and throw the spaghetti in the pot. Without breaking them stir again and keep cooking. 3. 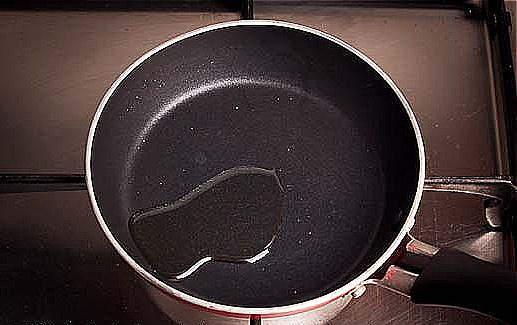 Add about a tablespoon of oil to a little frying pan similar to the one below. 4. 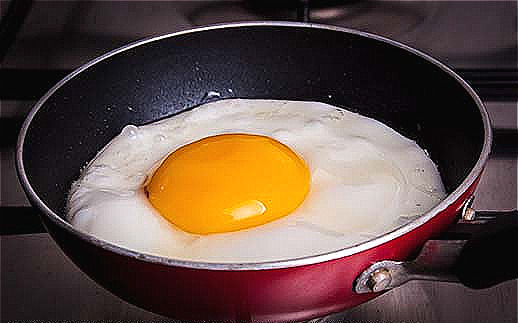 As you can see in the small pan the egg keeps a nice shape and once ready according to your personal taste you'll need to add salt and pepper. 5. 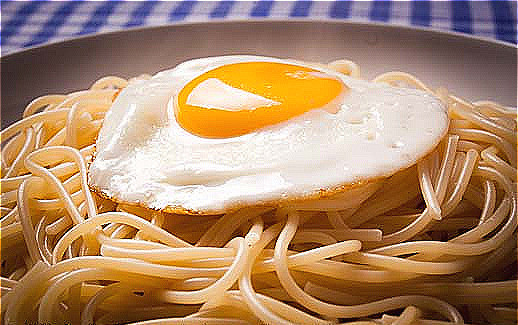 Drain the pasta and make a portion in a plate and cover the spaghetti with the fried egg. Serve immediately with grated parmesan or pecorino cheese and milled pepper if you like. Quite impossible to make a recipe more easy than this!